Banquet facilities for up to 200 guests, our year-round country club is open to the public for your next personal or corporate outing. The Upper Course stretches to 6400 yards and is an ideal choice for your next corporate golf event. Our Valley Course is a shot makers dream featuring a wide range of elevation changes, with the Rouge River playing a prominent role on a number of holes. 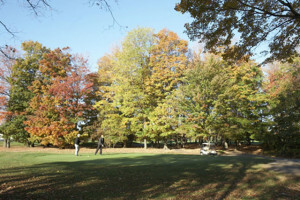 Both courses are well conditioned and are surrounded by the Rouge Valley in all its splendor. With great golf and top-notch service, there’s no need to go anywhere else. It’s time to experience Remington Parkview Golf & Country Club. For more information, call us at 416.293.2833 or visit us online.